On September 15, communities around the world are joining forces to help remove trash from the ocean as part of the International Coastal Cleanup organized by the Ocean Conservancy. Marine Extension snd Georgia Sea Grant is hosting a cleanup event at the UGA Aquarium from 9 a.m. - noon. The event will start with a presentation on local marine debris research. 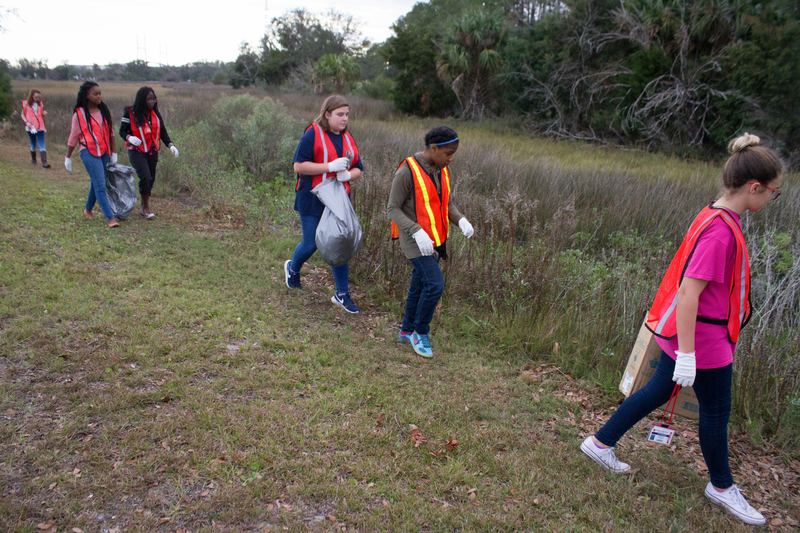 Afterwards, participants will hike along Grove's Creek, collecting marine debris and recording information to be compiled in a global report on the amount and type of litter found on beaches. Please come prepared with sun protection, comfortable shoes and a water bottle. Gloves and a bucket will be useful as well. Registration: RSVP required by September 13. Contact Kayla Clark, kayla270@uga.edu, 912-598-3345.